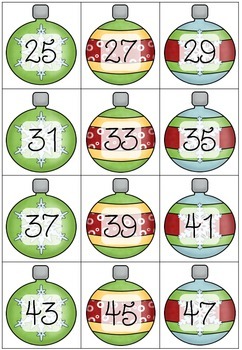 Full of colourful Christmas graphics, this pack is designed to quickly add a whole heap of Christmas cheer to your math teaching! These cards can be used in your pocket chart, or as a hands on resource for your students to assemble in order. 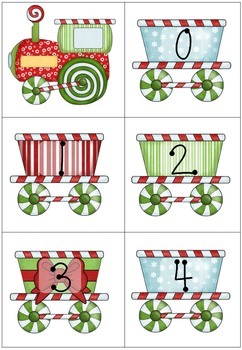 Each number line (except for counting in 10s) can be used with the activity sheets provided, these ask students to complete number line segments and write numbers before and after. The activities are full colour and can be laminated and used with whiteboard marker in your small group and center work - simply choose an appropriate counting pattern to differentiate for your students' needs. They are also duplicated in black and white for copying to use as individual student recording sheets. 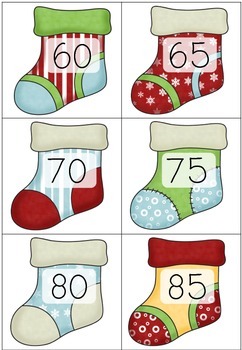 A simple and effective way to add some Christmas spirit to math work in your classroom! 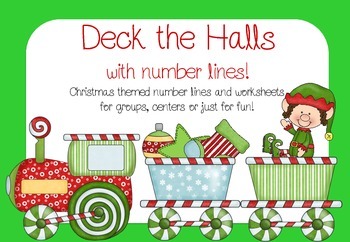 Deck the Halls with Number Lines! by Lauren Kuhn is licensed under a Creative Commons Attribution-NonCommercial-NoDerivs 3.0 Unported License.